New Zealand is full of natural wonders. With its astonishing landscape inspiring movies and literature for years, it is one of the most impressive natural landscapes on earth. For those looking to visit New Zealand, choosing a natural break is certainly a good way to go. Rather than citie scapes, choose natural landscapes that are millions of years old. Travel to New Zealand is often a once in a lifetime experience so make sure you are protected, as life does happen. There are plenty of adventure activities to try while you’re out there, and trying them is one of travel writer Ben Groundwater’s suggestions. This is a truly beautiful location, that every world traveller should see. Here we’ll guide you through the very best natural holidays that New Zealand has to offer. Penguins might not be the first animal that comes to mind when you think of New Zealand, but a visit to this beautiful country is indeed an opportunity to see these lovable animals in their natural environment. The Otagu Peninsular will allow you to see blue penguins enjoying the local beaches and there is even the chance to spot whales, seals and so much more at this naturally resplendent location. The Natural Parks of New Zealand is unlike anywhere else in the world. With over 2,500 species of birds in New Zealand, animal lovers should certainly go birdwatching while visiting. 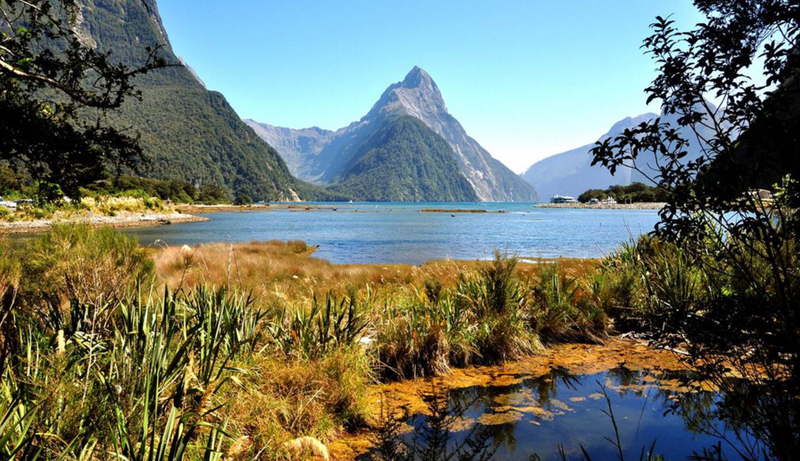 Fiordland Natural Park offers some of the best bird watching opportunities around. You’ll see birds such as the famous Kiwi and Yellow Eyed Penguins while visiting this beautiful park. Take a local tour to learn about conservation and make sure to stick to public footpaths and respect local rules and guidelines designed to protect the animals. The seas around Australasia are some of the most vibrant and full of life in the world. Any nature lover understands the power, mystery and beauty of the ocean. A visit to Bay of Islands should certainly include a whale and dolphin watching excursion with a local boat. The views of whales and dolphins dancing on the waves here is truly awe-inspiring. The famous TranzApline Railway gives travellers amazing views of the surrounding area. Far more accessible (and environmentally friendly) than a helicopter ride, the railway is accessible to all and is a great way to reach the highest points of the area without that mammoth trek. Take in local wildlife and appreciate the vast beauty of this wild landscape from the comfort of the train. Board at Arthurs pass and travel to the Southern Alps to take in some of the most beautiful mountains in New Zealand. You’ll get a great view of the variety of landscape New Zealand has to offer. Take a cruise tour of this beautiful region and view nature at its finest from the water. The area also has an amazing mauri heritage and tours of the local area will often include cultural experiences and opportunities to buy local artsand crafts. You’ll see an epic landscape and get close to nature in this largely unspoilt part of New Zealand.